PIEDMONT – Kendall Ray Collier, 62, of Piedmont, husband of Doris Capps Barber, died Tuesday, January 22, 2013. Born in Golconda, Illinois, he was the son of Matthew R. and Lorraine Shelby Collier. He was currently employed with Stanco Metal Products and a member of Mountain Springs Baptist Church, Piedmont. Mr. Collier was a U.S. Army Vietnam veteran and a recipient of the Purple Heart. Surviving are his wife of the home; sons, Michael Collier of Spartanburg, Frankie Collier of Evansville, Indiana, Greg Ozmint of Piedmont; sisters, Faye Belwood of Spartanburg, Alma Cruson of Rosiclare, Illinois, Shirley Parker of Carterville, Illinois, Kathy Rhodes of Evansville, Indiana; and three grandchildren. Funeral services were held Saturday, January 26 in the funeral home chapel of Gray Mortuary, Pelzer with burial in Greenville Memorial Gardens. Memorials may be made to the Mt. Springs Baptist Church Building Fund, 410 Mountain Springs Road, Piedmont, SC 29673. Sandra Brown Jordan, 61, wife of Tommy Jordan, died Wednesday, January 23, 2013 at NHC of Anderson. Born in Lanett, AL, she was the daughter of the late William Earl Brown and Shirley Dobson Brown Mayne. She was an employee of Robert Bosch Corporation and was of the Baptist faith. Surviving are her husband, Tommy Jordan; two sons, Dakota L. Jordan and Toby Jordan; one daughter, Jennifer Jordan; one grandson; two sisters, Cheryl Brown of Greensboro, NC and Lisa Pritchett of Johnson City, TN; and one brother, Stephen Brown of Pelzer. Funeral services were held Saturday at Sullivan-King Mortuary. Burial followed in Old Silver Brook Cemetery. Memorials may be made to Anderson U.S.B.C. (Youth Scholarship Fund), 4140 Clemson Blvd., Anderson, SC 29621. Tommy Daniel Abbott, Sr., 77, of Greenville died Wednesday, January 23, 2013. Born in Clinton, he was a son of the late Claude C. Sr. and Annie Mae Evans Abbott. He retired as Senior Master Sergeant from the U.S. Air Force, and retired from the U.S. Postal Service. He was also a volunteer at the Greenville Memorial Hospital as “Buttons” the clown. He was a member of Hampton Park Baptist Church. He is survived by a daughter, Cindy Davis of Columbia; son, Tommy D. Abbott, Jr. of Simpsonville; five grandchildren; and four great-grandchildren. Funeral services were held Saturday, January 26 at The Mackey Mortuary. Interment with full military honors followed at Woodlawn Memorial Park. Memorials may be made to Champions for Christ Foundation, P.O. Box 786, Greenville, SC 29602. Terrie B. Randolph, 57, of Spartanburg, died Tuesday, January 22, 2013. She was the wife of Harold D. Randolph of Spartanburg; daughter of Rev. Paul F. Blackstock Sr. and Bobbie L. Blackstock of Simpsonville. She was employed with the SC School for the Deaf and Blind and was a member of Legacy Outreach in Pauline. In addition to her husband and parents she is survived by brothers, Rev. Daniel M. Blackstock of Gray Court, and Rev. Paul F. Blackstock Jr. of Piedmont. Funeral services were held Saturday, January 26 at Floyd’s Greenlawn Chapel. Burial followed in Good Shepherd Memorial Park, Boiling Springs. Memorials may be made to the SC School for the Deaf and Blind, 355 Cedar Springs Road, Spartanburg, SC 29302. Easley- Olin Dewitt “Buddy” Newell, 76, husband of Diane Black Newell, passed away Wednesday, January 23, 2013 at Rainey Hospice House of the Upstate in Anderson. Surviving, in addition to his wife of thirty-nine years, are four daughters, Deena Allison (Ken), Sandra Stokes (David), Lori Brown (Shane), and Donna Anderson (Jeff); four grandchildren, Layla Allison, Tyler Brown, and Kristian and Kadence Anderson; and a sister-in-law, Marie Newell. In addition to his parents, he was predeceased by a brother, Furman “Curly” Newell; and a sister, Blanche N. Pilgrim. A graveside service was held 2:00 P.M. Saturday, January 26, 2013 at Greenlawn Memorial Park, Easley. A visitation was from 6:00 P.M. to 8:00 P.M. Friday at Robinson Funeral Home-Downtown. 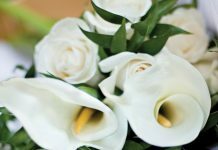 Flowers are accepted or memorials may be made to Rainey Hospice House of the Upstate, 1835 Rogers Road, Anderson, SC 29621. W. Earle Purkerson, Jr., 78, of Greenwood, husband of Jo Ann Miley Purkerson, died January 24, 2013 at Hospice House. Born in Greenwood, he was a son of the late W. Earle, Sr. and Julia Talbert Purkerson. He retired from the U.S. Postal Service and was a member of Tranquil United Methodist Church. Surviving in addition to his wife of the home are four children, JoBeth P. Manley of Powdersville, Julie P. Lamb of Greenwood, Bill Purkerson of Clemson and Edward Purkerson of Simpsonville; six grandchildren; one great-granddaughter; two brothers, Bob Purkerson of Greenville and Graham Purkerson of Atlanta, GA.
Funeral services were held Sunday at Tranquil United Methodist Church. Burial followed in Oakbrook Memorial Park. Memorials may be made to The Purkerson-Miley Scholarship Fund, c/o The Lander Foundation, 320 Stanley Ave., Greenwood, SC 29649. Virginia H. Poore, 83, of Hendersonville, wife of Leonard J. Poore, died Friday, January 25, 2013 at Golden Living Center in Hendersonville, NC. Born in Pelzer, she was a daughter of the late John Wiley and Lillie Bentley Holcombe. She retired from Carper Real Estate and Piedmont Natural Gas and was a member of Carolina Heights Church of God. Surviving are daughter, Jean Cobb of Easley; son, Michael L. Poore of Columbia; two grandchildren; and three great-grandchildren. Funeral service was held Monday, January 28 at Thomas McAfee Funeral Home, Northwest. Burial followed in Woodlawn Memorial Park. Roy Leland Bagwell, 71, of Williamston, died Friday, January 25, 2013. Born in Honea Path, he was a son of the late Glenn and Reba Welborn Bagwell. He worked at Falls Street Café in Downtown Greenville. Surviving are one daughter, Victoria Stovall; one brother, Thomas Bagwell; three sisters, Juanita Bagwell, Ayenda Terrell and Linda Shands. Funeral service was held January 29 in the Downtown Chapel of Thomas McAfee Funeral Home. Entombment followed in Woodlawn Memorial Park Mausoleum. Mable Owen Ward, 92, of Easley, wife of the late Rev. Jack Bayne Ward, died Sunday, January 27, 2013 at Rainey Hospice House. She was born in Liberty, the daughter of the late Deward and Addie Roper Owen. She was a charter member of Mount Moriah Baptist Church. Survivng are her son, Rev. Gary Ward of North Charleston; two daughters, Lynn Merritt of Easley and Connie Styles of Piedmont; nine grandchildren; and 14 great-grandchildren. Funeral services were held Tuesday at Mount Moriah Baptist Church. Memorials may be made to Mount Moriah Baptist Church Building Fund, 9813 Anderson Road, Piedmont, SC 29673. Charles Bradford McMinn, Sr., 82, of Anderson, widower of Leora Plautz McMinn, died Wednesday, January 23, 2013 at Richard Campbell Veterans Nursing Home. Born in Greer, he was the son of the late Arthur and Bessie Thornhill McMinn. He retired from the U.S. Air Force as Sergeant and was a member of Abiding Savior Lutheran Church. Surviving are his daughter, Cindy Cox of Greenville; two sons, Charles B. McMinn, Jr. of Hawaii and Michael A. McMinn of Anderson; eight grandchildren; six great-grandchildren; and a sister, Martha Chapman of Piedmont. Funeral services were held Monday at Abiding Savior Lutheran Church. Burial followed at M.J. “Dolly” Cooper Veterans Cemetery with military honors. Memorials may be made to The Campbell Patriots Honor Guard, 4605 Belton Hwy., Anderson, SC 29621. Mitchell Cooley, 55, of Pelzer, died Wednesday, January 23, 2013 at his home. Born in Greenville County, he was the son of Nelson Cooley, Jr. of Pelzer and the late Christina Cureton Cooley. Surviving, in addition to his father, is his wife, Minister Alberta Wilson Cooley; daughters, Conya L. Mack of Augusta, GA and Shannon M. Cooley of Piedmont; sons, Pastor Terrence T. Wilson of Piedmont, Mitchell Shane Cooley of Greenville and Michael Jermaine Cooley of Atlanta, GA; sister, Janice Cooley of Piedmont; brothers, Terry Cureton of Greenwood, John Allen Cooley of Piedmont, and Dennis Cooley of Greenville. Funeral service was held Tuesday at Watkins, Garrett & Woods Mortuary. Tommie Sue Seymore Brown, 93, of Easley, widow of Charles Moore, Gene Morris, and Chandler Brown, died Monday, January 28, 2013. Born in Carnesville, GA, she was the daughter of Myrtie Murphy and Lee Roy Seymore. She retired from JP Stevens in Walterboro and was a member of Tremont Church of God in Greenville. She is survived by sons, Carlton Moore of Piedmont, and Gene Morris of Greer; four grandsons; four great-grandchildren; three brothers, Ralph Seymore of Easley, Raymond Seymore of Piedmont, and Talmadge Seymore of Greenville. Funeral services were held Wednesday at Thomas McAfee Funeral Home, Downtown. Burial followed at Woodlawn Memorial Gardens, Greenville. Memorials may be made to Lutheran Hospice, 429 North Main St., Suite 3, Greenville, SC 29601.